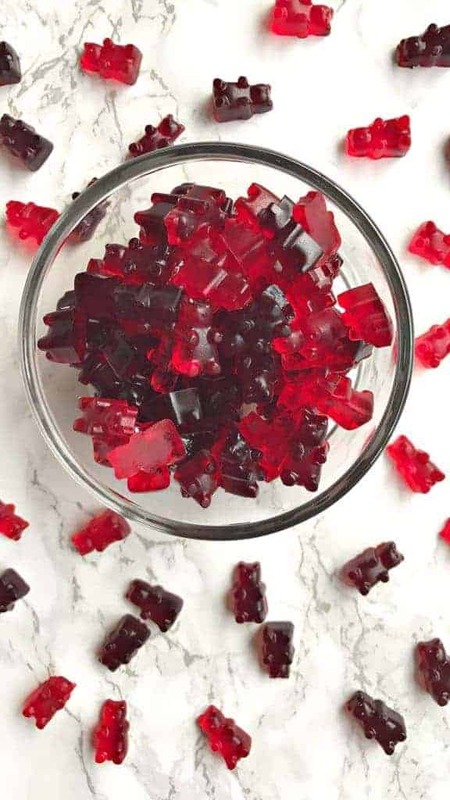 Wine Filled Gummy Bears make the perfect treats for summer, holidays, Christmas, Thanksgiving, parties, and events. 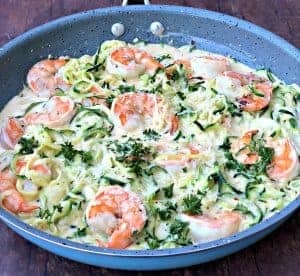 This how-to recipe is quick and easy! 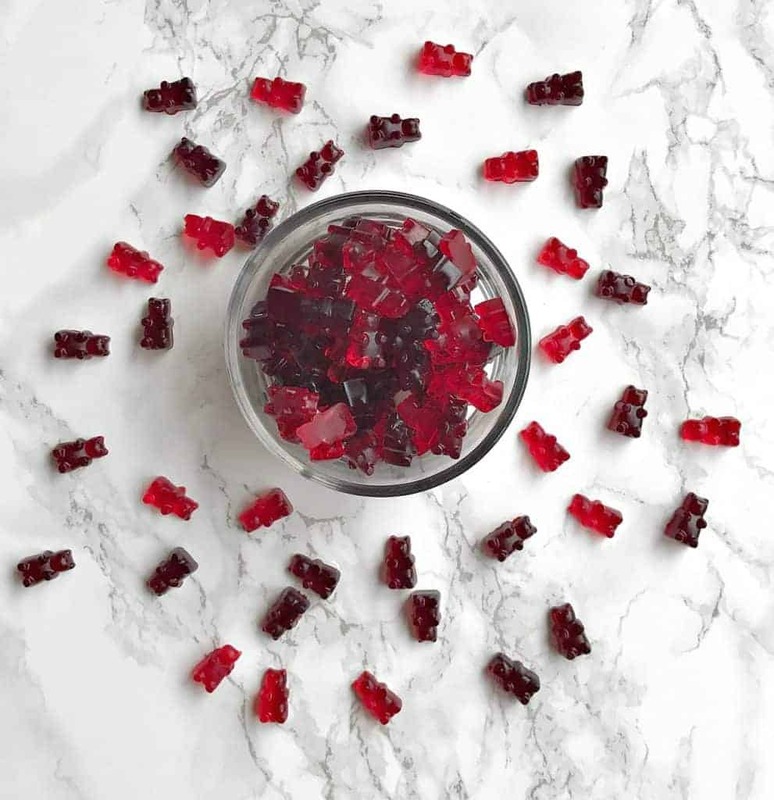 These alcohol filled candy gummies are made using jell-o. Serve them as jello-shots for gatherings! I have been wrestling with the idea of coming up with a holiday drink concoction since Thanksgiving. 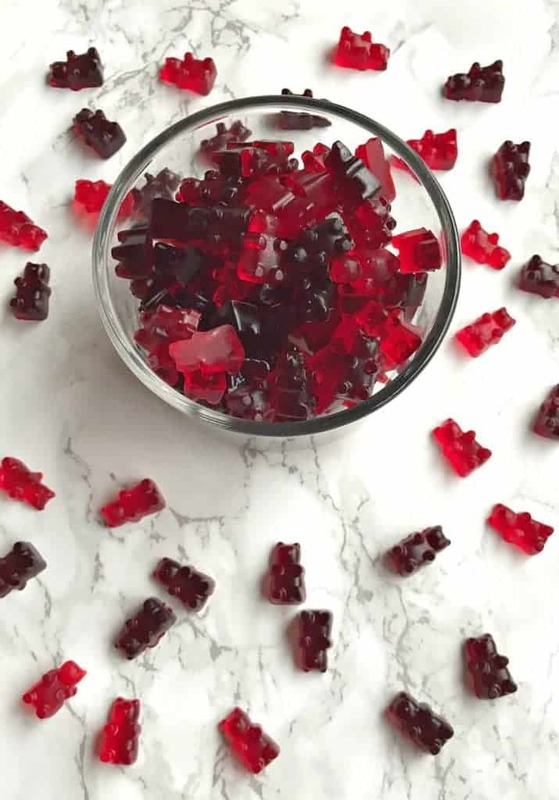 I had several ideas in mind (these ideas may surface via later posts), but gummy bears laced with wine seemed to be the easiest. I travel back home to Omaha, Nebraska for Christmas each year. 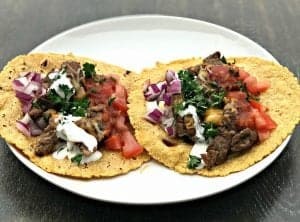 I thought it would be perfect to make these ahead of time and bring them back home for my family to enjoy. These guys are amazing! Every bite is filled with the taste of wine. 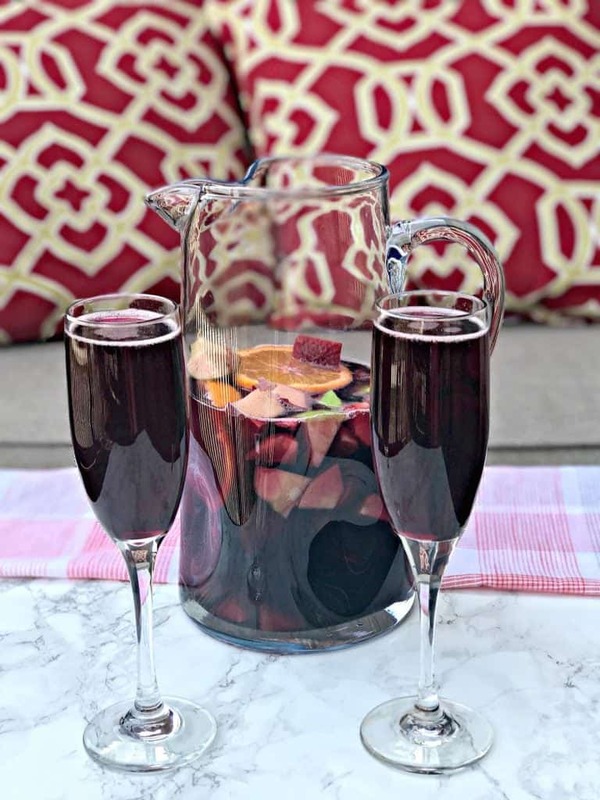 I used strawberry Jell-O with Chardonnay and Cherry Jell-O with Cabernet Sauvignon. 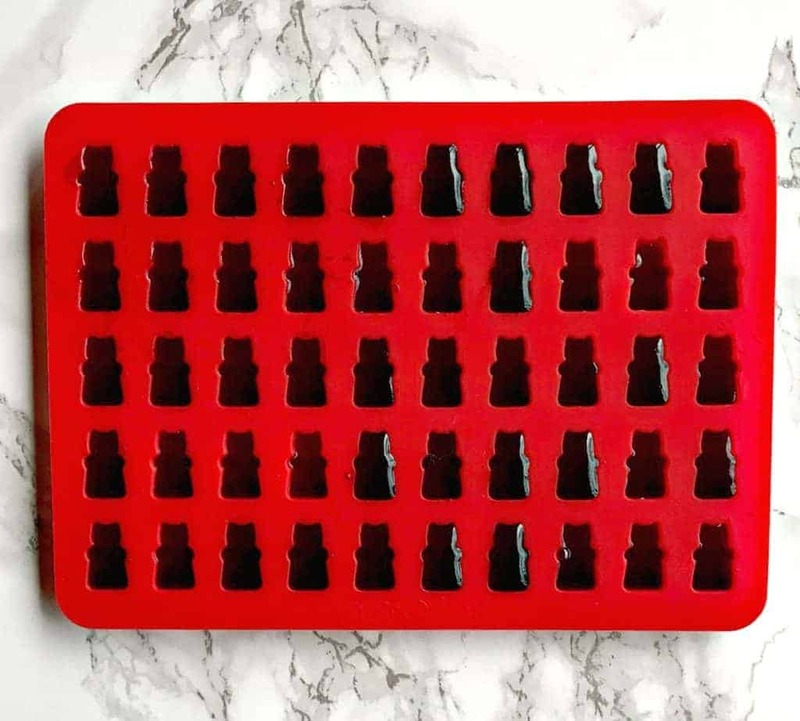 I purchased the gummy bear molds on Amazon. 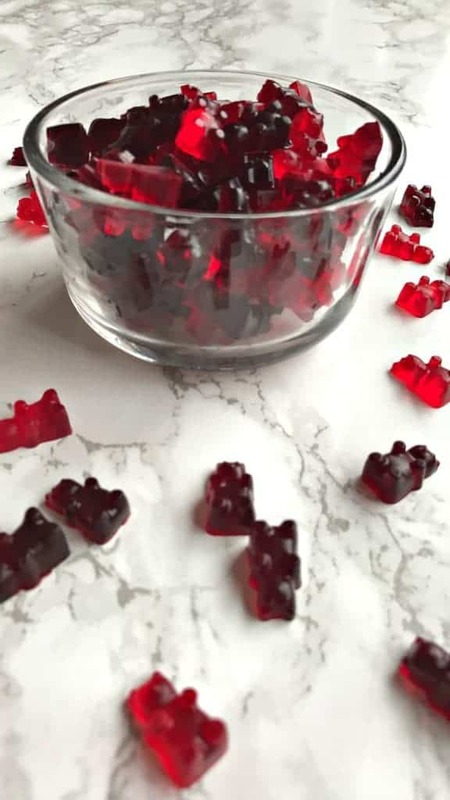 You may also enjoy my Vodka Gummy Bears. Before placing a saucepan over heat, pour the wine in the pan. Add the Jell-O to the wine and stir until the Jell-O has dissolved. Continue to stir until the mixture is of liquid consistency. Bring the saucepan to low heat, careful not to let the mixture boil, stirring continuously until wine melts back down to a liquid consistency. 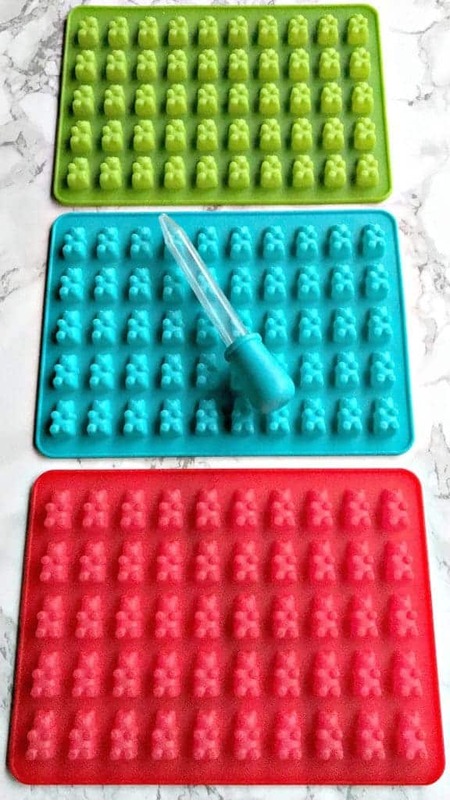 Place the gummy bear molds in the fridge for 10-15 minutes. Remove and serve! 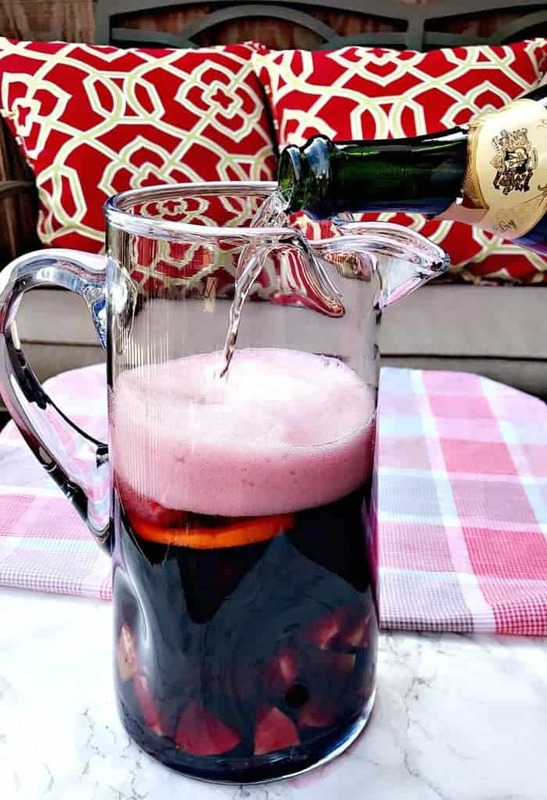 Now that is a great way to use some left over wine ! Does the flavour of the wine make a large impact on the taste of the bears? Yes! 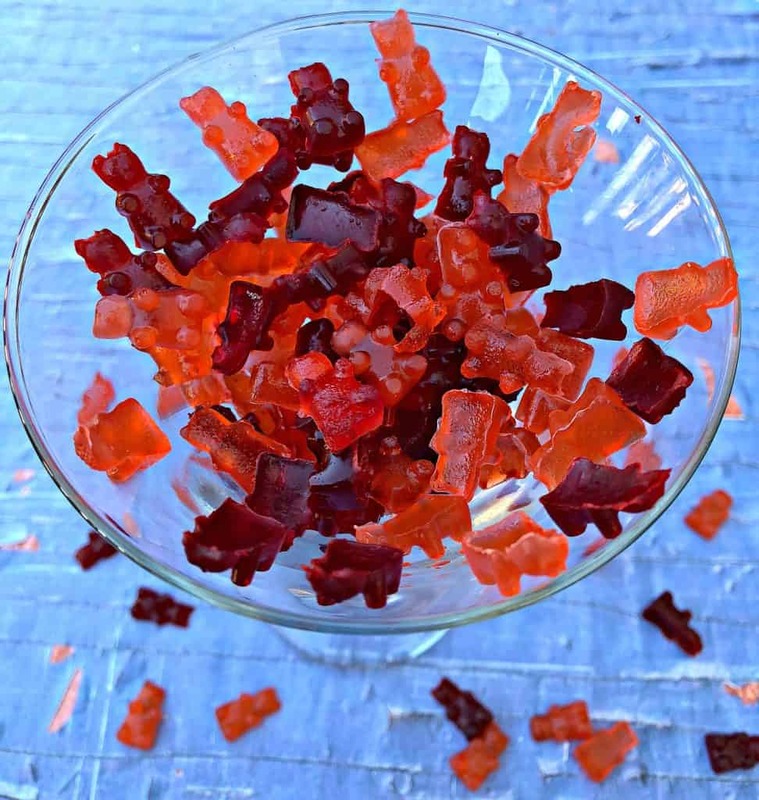 The bears mostly taste like the wine that is used with a hint of the Jell-O flavor. So does the wine cook out? 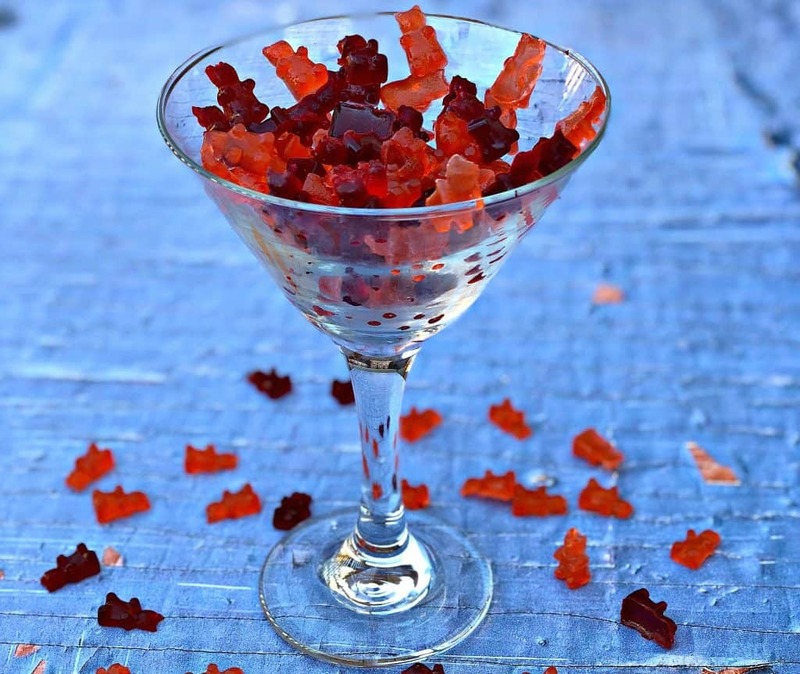 Or are you able to get intoxicated with these gummy bears? The wine is the only source of liquid. 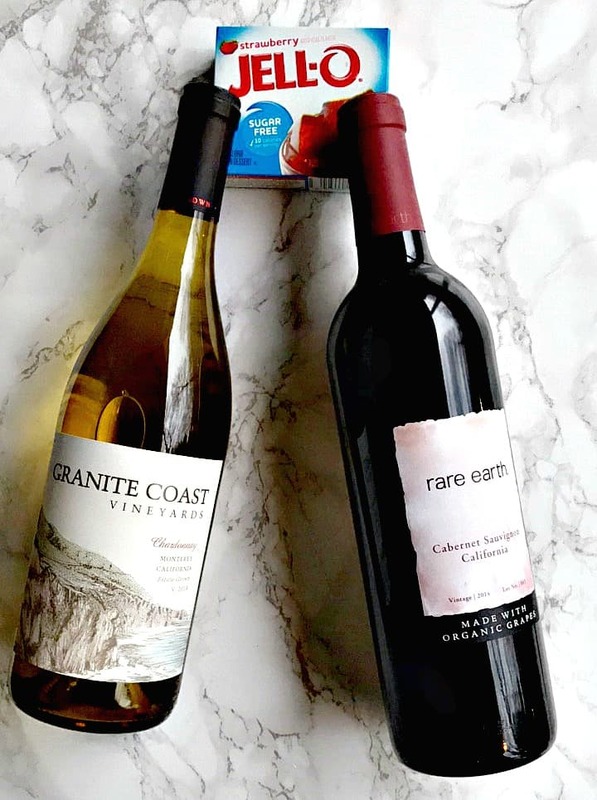 You can definitely taste the wine in every single bite. Imagine jello shots, but wine. Each bite is wine-filled! Is there a reason for using sugar free jello? 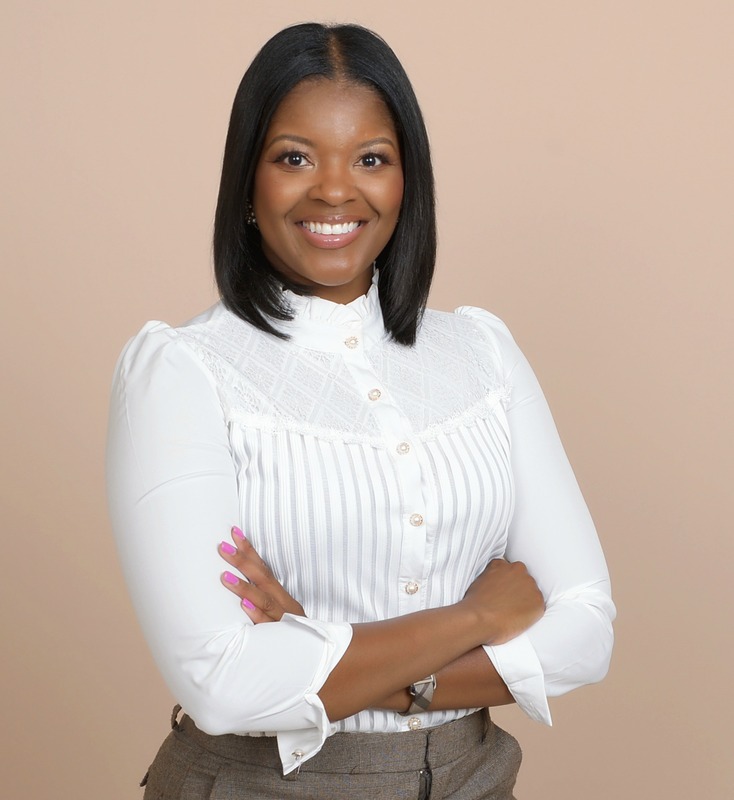 I primarily blog healthy recipes. I prefer sugar-free. Do you have to keep these in the fridge? Yes. If you want to store them overnight. They are fine at room temperature for small lengths of time. How is the texture of the bears? Are they firm and chewy like store bought ones? I’ve tried homemade bears before but they came out to soft. They are soft and chewy. They are not as firm as candy. Try running warm water on the bottom of the mold or filling a large bowl with warm water, and placing the bottom of the mold in a small amount of the water. Don’t let it hover too long because it could melt the bears. 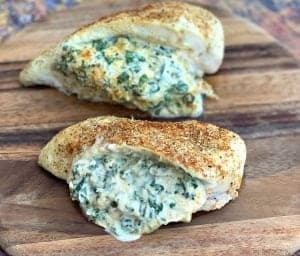 I definitely look forward to making these for my upcoming girls night in! Could you just use gelatin instead of jell-o? Oh man, I can only imagine where this will lead- I could go through a bowl of these in minutes! Love this classy take on a college go-to. Who knew wine could be so fun?? I would assume you could use any kind of alcohol not necessarily wine? Yup. You can definitely use whatever you want. How long will they keep? I’m thinking of doing little bags as Xmas gifts. Do they have to remain refrigerated? I have kept them for up to a week. They should be refrigerated if you are going to leave them out for longer than a few hours. They are similar to Jello-Shots. These look delicious! 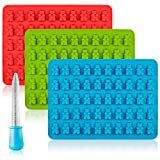 I bought the same molds off Amazon, does it work to double the recipe to make the process faster for a big batch? Yes. 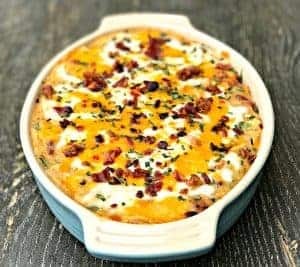 You should be able to double the recipe just fine. Can you do this using regular jello and not sugar free? 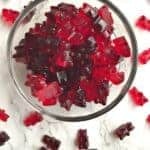 Can regular jello be used? Not sugar free!! Yes! You can use regular. Can these be frozen so they last longer? I haven’t tried to freeze them. They should freeze just fine, but it may alter the taste some. So good! Made rose ones, can’t stop eating them…thanks! These look amazing! I’m going to have to make them for my next party! Thank you!